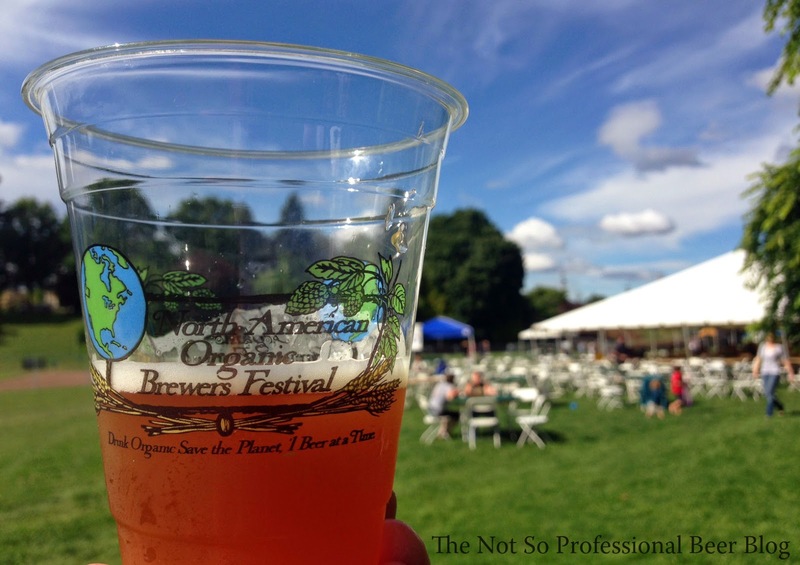 The 10th Annual North American Organic Brewers Festival kicks off tomorrow! To whet your appetite, I've posted the descriptions for each of the beers (and ciders) on the taplist. I'd like to highlight a specific beer, and a specific style. First, I highly recommend Ambacht's G++. I tasted it last year, loved it, and went back for a 2nd taste. It had notes of tart fruit, mild bourbon, and a touch of funk. If this year's edition is anything like last year's, you won't want to miss it! Next, if you've never had a Berliner Weisse, you much rectify your predicament this weekend. This German-style, rarely available just a few years ago, has made a a huge comeback--and for good reason. It's tart, low in alcohol, and perfect for summer! It's also a good option if you don't like hoppy beer. This year, Alameda, Golden Valley, and Pints are all offering their takes on the style. Try it! For more details, check out the NAOBF website. This sour mash Berliner Weisse features an added 95 lbs of fresh kiwis and strawberries. A malt base of 2-Row and wheat malt gives a nice cereal finish on an otherwise tart beer. The finished product is a dry, tart beer with huge fruity character and a nice subtle sweet touch on the end to round it all out. Who needs Snapple when you've got beer? Ginger: not half-way sorta ginger, but real honest to goodness ginger root infused into real beer. 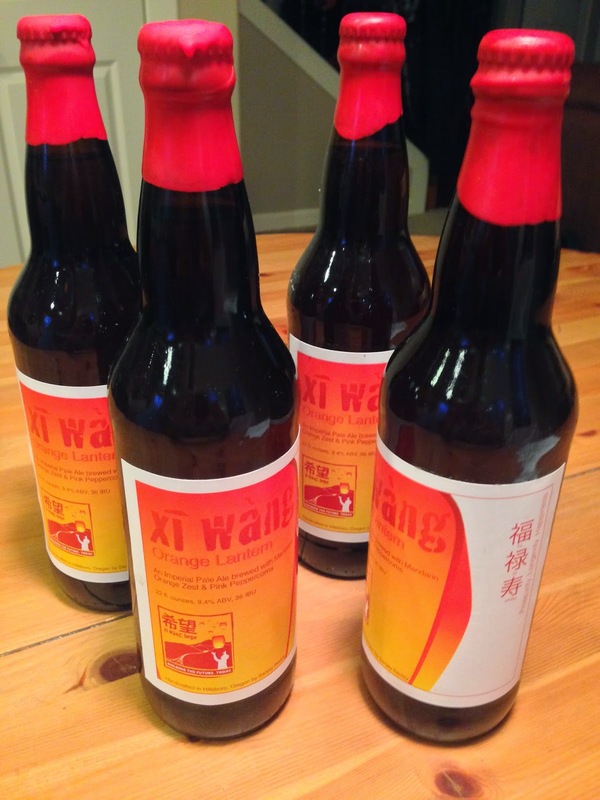 This is the beer for folks who love ginger and beer. A real Belgian-style golden ale infused with real ginger root: Ginger, enough said. 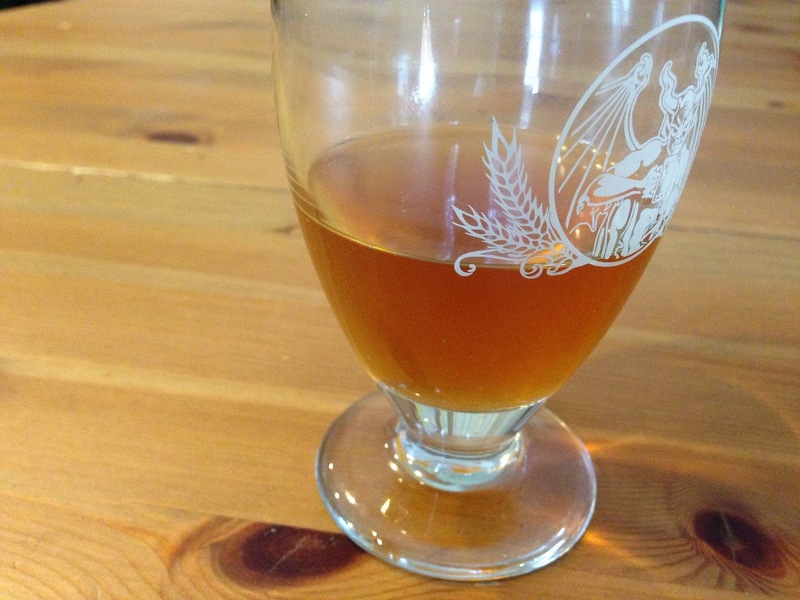 This is Ambacht's Belgian Strong Golden aged in Bourbon barrels from Hair of the Dog Brewing. HOTD used these barrels to age its Cherry Adam from the Wood and left the Adam-infused cherries in the barrel. Ambacht stored its Strong Golden Ale in the barrels for nine months, resulting in a barrel-aged fruit beer that is complex yet surprisingly light; a higher-alcohol beer with a light taste for summer drinking. Bison's West Coast ale is brewed with a blend of the season’s best organic hops. Like California sunshine in a bottle, Hop Cuvée radiates a golden hue with brilliant clarity and bright effervescence. It is a crisp, citrusy and tropical ale with a touch of pine-like bitterness and a clean, dry finish. Refreshing and sessionable, Hop Cuvée satisfies both hop lovers and craft beer newbies. Medieval Europeans commonly brewed with honey and gathered herbs, roots and flowers. Bison’s Honey Basil Ale carefully infuses caramel malts with fresh whole leaf basil and clover honey, creating an herbaceous floral and virtually hop-less beer with a soft wisp of honey and just a hint of basil aftertaste. Space Fruit is a West Coast IPA with a twist – a citrus twist to be exact. In an affirmation of summer’s bounty, Coalition used five different citrus fruits to create unique flavors and aromatics that intermingle with the West Coast hop character. An unadorned grain bill lets the citrus and hops shine in this bright and delicious seasonal. This is a delicate crystal wheat beer with a very light thirst quenching body, balanced by the equally refreshing aroma of organic açaí, pomegranate and other mixed berries. This single hop American IPA features Citra hops, which add a tropical fruit and strong citrus flavor and aroma. This beer was brewed specifically for the NAOBF. This hazy straw, pale golden ale includes a blend of four hops, including dry-hopping with Amarillos. The aromas of tangerine juice, orange blossom and cereal grains complement the grapefruit and orange flavors with a medium large mouthfeel and a dry, bitter finish. Raise your Doug Fir Flag for sovereignty, raise your glass in solidarity. This Imperial pale ale features a combination of organic pale, Pilsner, wheat honey, roast, black and caramel malts. It's hopped with Northern Brewer, Chinook, Magnum, Simcoe, Amarillo and Cascade hops, then further dry-hopped with Cascade and Chinook. So you want to save your own seeds? Yargh! Think your crop is safe from genetically modified contamination? Yargh! Scalawags using indigenous knowledge for profit? Yargh! Our uncertified best is made with 100% organic ingredients and features aromas of honeysuckle and pears with flavors of stone fruit and malt in the finish. This crisp, refreshing cider features the floral and citrus flavors of Cascade hops. It's dry, bright and grassy with grapefruit and pine notes. A cider tribute to the Northwest IPA. This semi-sweet cider features bright apple fruit with the elegant sweetness and subtle delights of the pear. This is a tree-ripened, delicate and refreshing taste of the orchard. Medium-bodied with an appealing amber hue, this beer's organic pale, Munich and crystal malts create a gentle, sweet character that is difficult to resist. From organic Hallertauer hops comes a zesty flavor and aroma that beautifully balance the malt profile. This medium-bodied beer features a rich, golden color. The organic pale and crystal malts lay down a firm malt body that provides the backbone for an assertive hop profile featuring organic Pacific Gems. The result is a Cascadian treasure. Organic two-row barley, organic wheat malt, organic strawberry & organic rhubarb make for a light, tart, fruity, slightly pink and completely irrational beer. The brewers hand picked over 500 lbs of spruce tips for a 30 bbl batch of this extremely seasonal elixir. Spruce tips, two-row organic malted barley, slow sand-filtered water and yeast keep this beer simple and spectacular. This Northwest IPA is inspired by KBOO’s mainstay Reggae program, Shocks of Sheba. As strong as its inspiration, this IPA is made with 100% organic malts and copious amounts of Oregon hops. This beer has been taken to the next level with a mash consisting of 800 lbs of organic sweet potatoes, and 400 lbs of organic rye. After fermentation was complete, a small dose of organic blue agave was added to balance out the Belgian yeast's semi-dry finish. 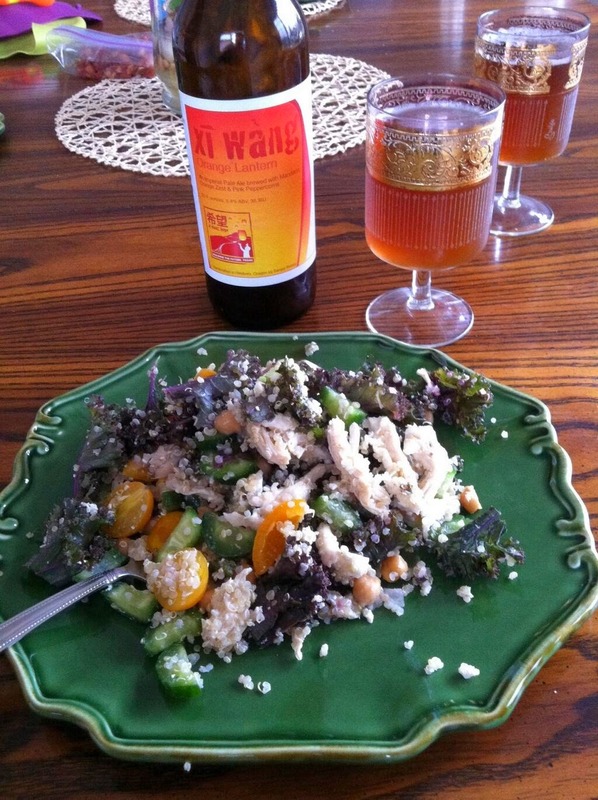 For this pale ale brewed with Thai basil, the brewers took a page from the recipe book of Washington home brewer Mark Griffin. With basil and citrusy hops front and center in both aroma and flavor, this beer makes a great pairing with Italian or Thai food. Fresh from the Hopworks Urban Brewery science lab, comes HUB's latest creation, Ahtanumous Prime. Made with only organic Ahtanum hops from Perrault Farms in Toppenish, WA. This dual purpose hops contributes a bright, orange peel-like character. Take five for this safety meeting. 70% Organic Hub Lager and 30% fresh organic lemonade quench your mid-ride thirst while carbs help beat the bonk. Kell's Organic Irish Red Ale has a nose of fresh malt, then moves into light toffee and caramel mid-mouth with notes of light red fruit and finishes with a dry, clean tartness. This American Amber Ale recipe features the addition of concentrated strawberry juice and puree for a subtle fruit flavor that allows the malt profile to come through. Milk sugar is added to balance the sweetness lost during fermentation. This American Hefeweizen features the addition of peaches and concentrated peach juice and puree for a clean, easy drinking summer refresher. Lactose is added to balance the sweetness lost during fermentation. This is Lakefront's version of a Belgian classic, brewed with wheat malt, and spiced with coriander and orange peel. It pours a beautiful hazy blond-gold with a thick, pearly white head. The nose is estery with a light aroma of fruit and spice. This beer is a crisp and refreshing as the aroma implies, with the wheat malt supplying a full, somewhat sweet background to the orange and coriander flavor. Spritzy carbonation lifts the sweetness to lend a crisp finish. This unique stout combines the flavor of organic roasted malts and Milwaukee’s renowned organic Fuel Café coffee. It pours a deep, dark color with a beautiful creamy tan head. Coffee aromas dominate the nose, with a background of roasted malt. The fine balance of mild organic hops, gentle brightness of choice coffee and the full mouthfeel from roasted malted barley make this an unforgettable brew. This is the beer to have when you are having more than one! Light, low alcohol with a firm hop presence from organic Cascade hops, this beer kicks out the jams. Seizoen Bretta is an organic unfiltered farmhouse ale naturally carbonated with pear juice and Brettanomyces yeast. Fruity and spicy character develops as the beer ferments dry and crisp with great depth and complexity. A traditional farmhouse saison style beer brewed for flavor and rich character. Four select yeast strains are used to brew this complex, fruity and aromatic beer. An abundant amount of whole cone Fuggle and Golding hops create a desirable balance with the barley malt, wheat and oats. A light, clean crisp pale ale brewed with Santiam hops. Perfect on a warm, sunny day. Gaiabolical is a tribute to the seductive and destructive beauty of Mother Earth. Made with an amazing balance of 100% organic malts and 100% certified Salmon Safe hops, this pale ale is perfectly suited for a volcanic eruption, catastrophic landslide, massive tornado or any sunny day. Inspired by the Curiosity Rover currently hard at work on the Red Planet, this Red Ale is medium bodied with toasted malt and caramel balancing out a smooth, hoppy bitterness and finishing with notes of flowers and citrus. Why go south of the border when you can enjoy a cerveza here? This copper-hued lager is the perfect summertime thirst quencher. Light and refreshing, it goes down smooth with a small hop presence and a lingering malt aroma and flavor. Best of all, it’s organic! Made with organic 2-Row, organic Crystal 60L, organic Munich and Yakima Valley Chinook hops, this is a light and easy drinking beer with firm grainy maltiness and interesting toasty and caramel flavors that showcase the signature Chinook varietal hop character. Much like a steam beer, this was fermented at ale temperatures with a lager yeast strain, providing a nice balance between a crisp, clean lager profile and a fruity ale profile – the best of both worlds. This dark, chocolaty, boozy lager bomb is named after Edgefield's friend, Pavol “Pali” Olsavsky, who lives in Košice, Slovakia and is an avid collector of beer paraphernalia. He has sent them envelopes stuffed full of peeled off beer labels in trade, and countless hand-written letters. The brewers sent him some schwag and decided to take it to the next level and name their NAOBF beer after him. Enjoy this super smooth drinking Baltic Porter and raise a glass to Pali. White Rhino Wit is medium light in body with aromas and flavors of coriander and orange, a moderate pleasant sweetness up front, and a crisp, dry, citrusy finish. White Rhinos do exist. They are rare and endangered due to poaching, but you can actually see them roaming the oak savannahs just outside of Roseburg, OR at the Wildlife Safari in Winston. While the animal can weigh in at up to 8,000 pounds, you’ll want to enjoy White Rhino Wit 16 ounces at a time. This blonde ale entices the nose with sweetness that comes from cold brewed Jasmine tea infused into the beer after the fermentation process is completed. Earthy notes of elderflower dance on the palate with a flowery tea finish as if to the tune of an experienced jazz musician. This light and crisp golden lager features a pronounced honey flavor and aroma due to a generous addition of honey malt and local Oregon honey. The honey is added at the end of primary fermentation to help capture the essence of wildflower aromatics that are attributed to the flowers in which the pollen was collected by the honey bees. Organic Palisades with notes of slight strawberry hop quality are added at the end of the boil for aroma. The world’s leading organic beverage producer brings you a pilsner with an aroma reminiscent of lemon and a fresh flower field combined with a pronounced hop aroma. Light in taste the natural cone hops develops an aromatic mild aftertaste. The beer shines pale yellow in the glass, bright and shiny with snow-white foam. Shhh, the government is probably listening, so we’ll have to keep this just between us. This unfiltered wheat ale is cloudy, just like the skies above Overlook Park on a heavy chemtrail day. The fruit and citrus notes of this beer come from Amarillo and Ella hops, and that's the TRUTH! Believe me, this ale will change your reality – but, you know, in a good way. Brewed true to the traditional Berliner Weisse methods (Schultheiss-style), this “bio” (“organic” in German) exemplar is made with certified organic malts from Bamberg, Germany, and with the yeast and bacteria brought to Oregon via Berlin by PINTS’ Brewmaster (who received his Brewing Science Degree in Berlin in 1998). The Lactobacillus strain creates the mouth-puckering tartness and some wonderful fruity esters, Saccharomyces drives down the sweetness and a splash of Brettanomyces rounds out the flavor profile. Situated right on the Green Line in historic Old Town Portland, PINTS brews its 100% Organic Pale Ale with Great Western 2-Row, wheat and C-15 organic malts. The heavy lifters in the organic hop category are Bravo and Cascade, which provide the classic NW IPA aroma and flavor notes of grapefruit, lemon and lime. Made with a blend of organic Golden Russet and Newtown Pippin apples, then back sweetened with a hint of local raw honey, this cider was created specifically for the NAOBF. Expect an off-dry, crisp cider free of cloying sweetness. An easy drinking wheat beer, Ropehead gets its distinctively rustic flavor from a proprietary blend of spices and root vegetables. Cascades + Centennials + rye = a beer with a flavor as explosive as the steamboat for which it’s named. This American IPA was brewed with copious amounts of organic Magnum, Centennial and Cascade hops, then dry-hopped with organic Chinook and Simcoe. It features resinous, piney, citrusy flavors and aromas. This is a unique easy drinking ale, lightly hopped, then dry-hopped with pounds of whole vanilla beans and TCHO cocoa nibs to infuse the beer with flavor and provide an incredibly aromatic sensation. Greenwash Semi-Organic Session IPA features imported organic malts and NW grown Amarillo and Cascade hops. Weyermann BIO pale and BIO Munich malt, along with organic Crystal malt, contribute an orange hue while the Cascade and Amarillo hops provide abundant citrus hop aroma. A delicious beer with a clean malt bill that allows the hop character to shine. Careful malt selection creates great mouthfeel, while the use of only one hop variety, right down to the dry-hop addition, makes for a great summer beer experience with dank Crystal bitterness and aroma. Enjoy this instant hit! This light, crisp saison was brewed with French saison yeast. It has a light to medium body with a small amount of wheat to give a full mouthfeel and slightly hazy appearance. It was finished with crushed peppercorns and sprigs of thyme to add an accent of spice to the flavor and aroma. The Marble Tulip Juicy Gruit is an intensely aromatic beer made with wild lettuce, galangal, calendula and white willow bark – all in place of hops. Made with the brewery’s house saison yeast, a light fruity character sits under the botanical elements while the copper colored beer drinks light and finishes soft. A medium-bodied, dry-hopped American pale ale loaded with copious amounts of Magnum and Amarillo kettle hops, then dry-hopped with an abundance of Amarillo. This is Vertigo Brewing's tribute to our local Boys of Summer, the Hillsboro Hops baseball team. Anthem Cider’s tribute to the Northwest’s love of hops, Anthem Hops is a gluten free cider dry-hopped with Oregon grown Cascade hops for more than three weeks. The result is a light, lagerish cider with all the beautiful citrus and floral aromas of Cascade hops with a only slight bitterness on the finish. It's just shy of dry and mildly tart. This beautiful cider sparkles golden in the glass. A ripened apple aroma pulls classic musty, earthy scents into the air, invoking images of farmland. Dry Oaked unfolds in stages: Sweet apple arrives first and picks up earthy notes in the middle of the tongue before robust tartness emerges. Meanwhile, aggressive dryness and lactic sourness scrape the taste buds from tip to back while a rustic must develops in the finish. Gruit To It is a light, sessionable golden ale brewed with yarrow for bitterness and flavor, rosemary and lavender for aroma, and unmalted spelt to add some bready notes. This unhoped brew is floral and slightly spicy with an almost tea-like quality. 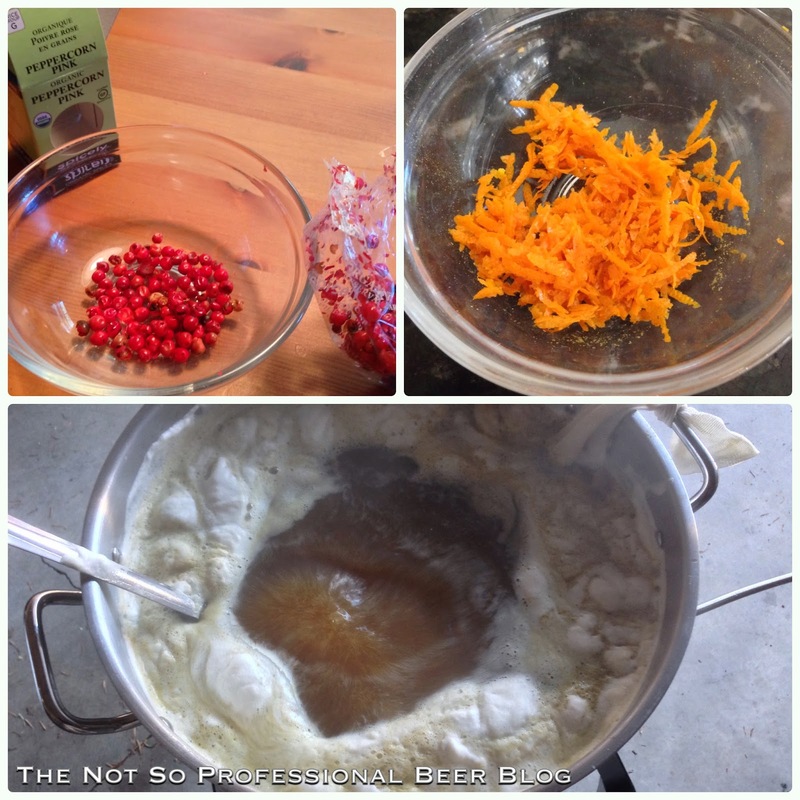 So, Gruit To It for a refreshing summer beer! 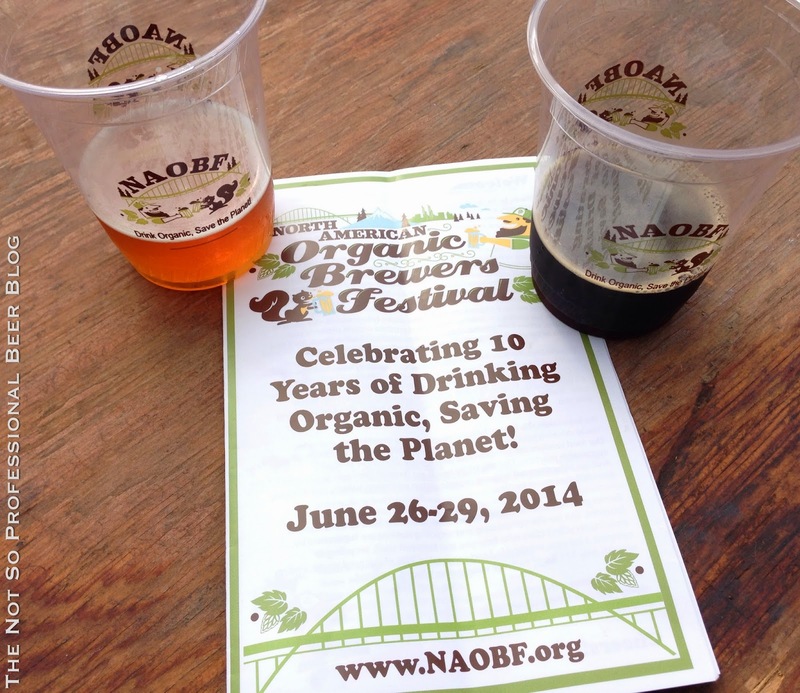 The 2014 North American Organic Brewers Festival is quickly approaching! 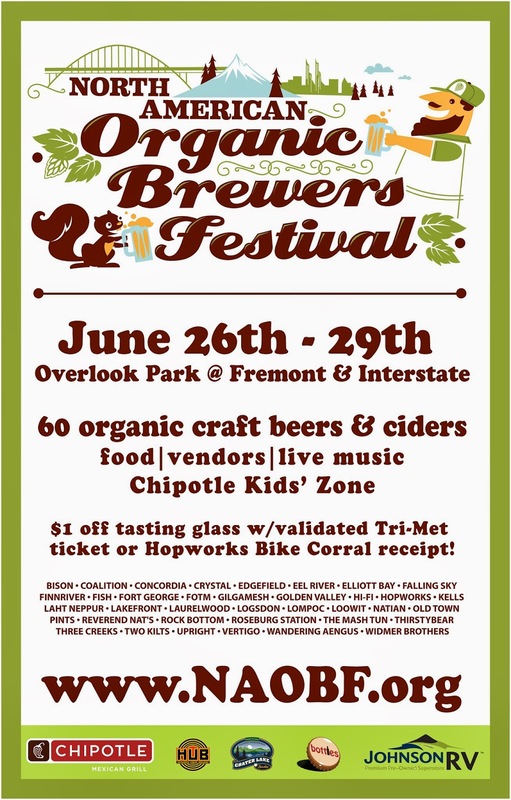 This year's celebration of organic and earth-friendly beer will be held June 26 - 29 at Overlook Park. 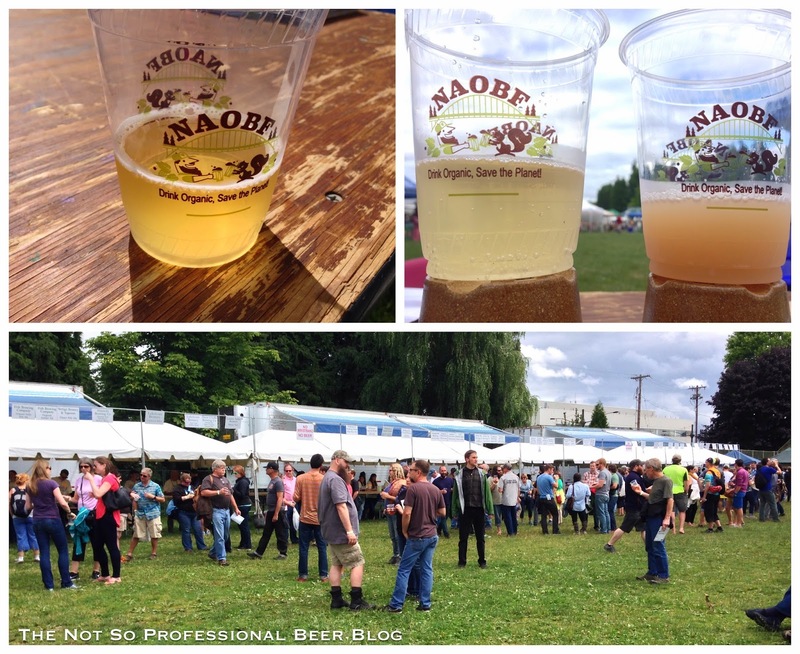 While all of Portland's summer beers festivals offer plenty of great beer, NAOBF is one of my favorites because it's very family friendly. The festival not only "allows" kids, but caters to them. 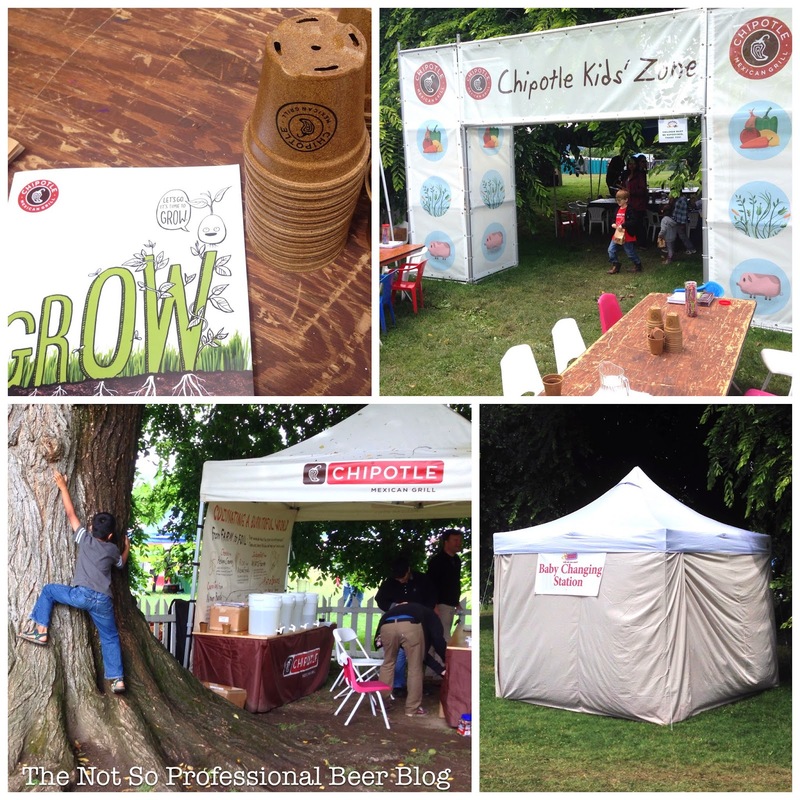 New this year, Chipotle will sponsor a special Kids' Zone and Crater Lake Root beer will return to lull the little ones into a sugar-induced state of euphoria. NAOBF details are listed below. The beer list, with full descriptions, will be available next week. I'll publish it as soon as it's available. Mark your calendars! Admission into the event is free. The purchase of a $6 reusable, compostable cornstarch glass is required for tasting beer, as are tokens, which sell for $1 apiece. A full glass of beer costs four tokens and a four-ounce taste costs one token (select beers cost double tokens). Patrons receive a $1 discount toward the tasting glass with a validated Tri-Met ticket or a ticket from the on-site fenced bike corral (one discount per person). Designed to raise awareness about organic beer and sustainable living, the NAOBF serves up 60 organic beers and ciders from around the nation. There’s also live music, organic food, sustainability-oriented vendors and non-profits, a root beer garden with complimentary Crater Lake Root Beer for minors and designated drivers, and the Chipotle Kids’ Zone with free activity books, grow pots, face painting and Chipotle kids’ meal cards. The NAOBF is a family friendly event, and minors are welcome with parents. 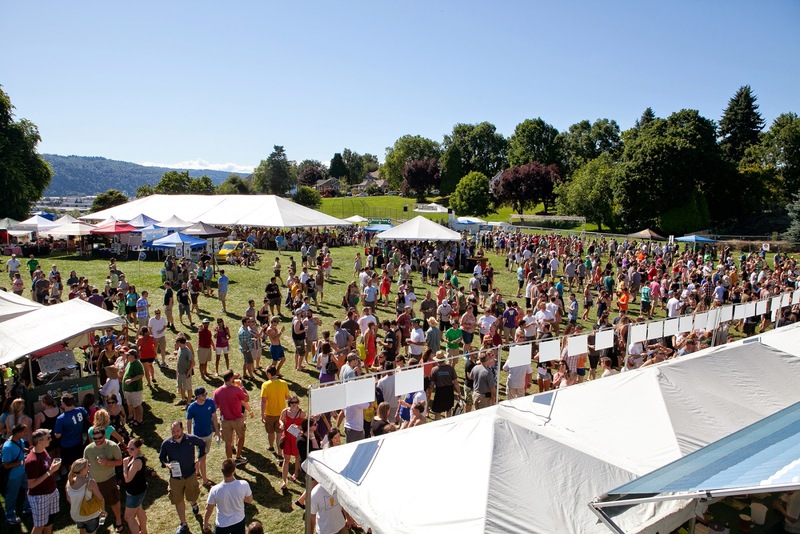 The festival donates a portion of the proceeds to the Overlook Neighborhood Association and Portland Public Schools. The Interstate MAX/Yellow Line "Overlook Park" Station is directly across from Overlook Park and is the second stop from the Rose Quarter transit mall, heading north. QUADROTRITICALE. Can you say that ten times fast? Even if you can't, you should know that Stone Brewing Co. just announced the third release in its Stochasticity series of limited-release experimental beers. Project Quadrotriticale is a Belgian-style quadruple ale. From a brewing perspective, it's a unique beer. Flaked triticale, a cross between rye and wheat is comprises 10% of the grain bill. The Belgian Ardennes yeast strain was used to ferment this beer. So what's the big deal? Why should you care? This beer isn't all about the hops. In fact, only one hop variety was used. Instead, this beer is a showcase for fruit and spice flavors, which result from the triticale grain and yeast. Be advised that no fruit was harmed during the making of this beer. For all the details, check out the news release below. Thanks to Stone for the pre-release sample! I'll be sure to share my tasting notes soon. 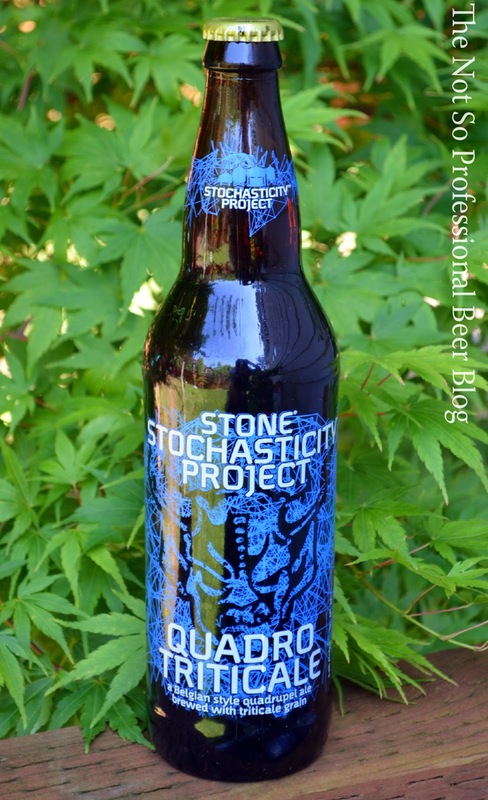 Stone Stochasticity Project Quadrotriticale Now Populating Across the U.S.
ESCONDIDO, CA (June 2, 2014) – Stone Brewing Co. designed the Stone Stochasticity Project as a playful outlet for making diverse limited-release beers without adherence to a specific brewing schedule or strict parameters. There is little-to-no logical association between past beers in this series and the one being released today. The Stone Stochasticity Project isn’t about logic. It’s about being stochastic. So, beginning today, Stone Stochasticity Project Quadrotriticale, a Belgian-style quadrupel ale brewed with a modern specialty grain called triticale, is available in 22-ounce bottles and on draft at select retailers nationwide. Stone Stochasticity Project Quadrotriticale has some history at Stone. Several years ago, Stone Brewmaster Mitch Steele developed a recipe for a Belgian-style quadrupel ale brewed with triticale, a hybrid of rye and wheat grains. The recipe was considered as a possible brew for the Stone 10.10.10 Vertical Epic Ale release, but it was ultimately decided that beer would be a strong golden Belgian ale brewed with triticale, since there had already been two Belgian quad-inspired Stone Vertical Epic Ale beers. So the Belgian quad recipe was filed away…but not forgotten. The Stone Stochasticity Project provided the avenue to revive the recipe and share it with the world. Flaked triticale provides Stone Stochasticity Project Quadrotriticale with the subtly spicy character of rye and a smooth mouthfeel akin to wheat, which also helps offset the syrup-like body traditionally associated with quadrupel-style ales. The addition of dark Belgian candi sugar renders the beer deep amber in color while bringing forth prune, raisin and molasses flavors. The Belgian yeast strain Ardennes provides tropical fruit and banana characters while also incorporating very light pepper and clove notes. Stone Stochasticity Project Quadrotriticale may be enjoyed now or saved for a special time in the future. If saved, it is suggested storing the bottle at proper cellaring temperatures (55°F or lower) for several months or a few years. Over time, the beer will grow even smoother while developing more prevalent raisin and brown sugar flavors. Known for its bold, flavorful and largely hop-centric beers, Stone Brewing Co. has been brewing in North County San Diego since 1996. Founded by Greg Koch and Steve Wagner, Stone is the 10th largest craft brewer in the United States—a position it achieved without paid advertising, discounting or compromising standards. In addition to brewing, Stone owns two eclectic farm-to-table restaurants—Stone Brewing World Bistro & Gardens – Escondido and Stone Brewing World Bistro & Gardens – Liberty Station—and Stone Farms, an organic farm located near the brewery that grows produce for the restaurants. Stone also operates Stone Distributing Co., which distributes more than 30 craft beer brands throughout Southern California. For more information on Stone Brewing Co., please visit stonebrewing.com or the company’s social media sites: Twitter, Facebook, Instagram, Google+, YouTube and The Stone Blog. 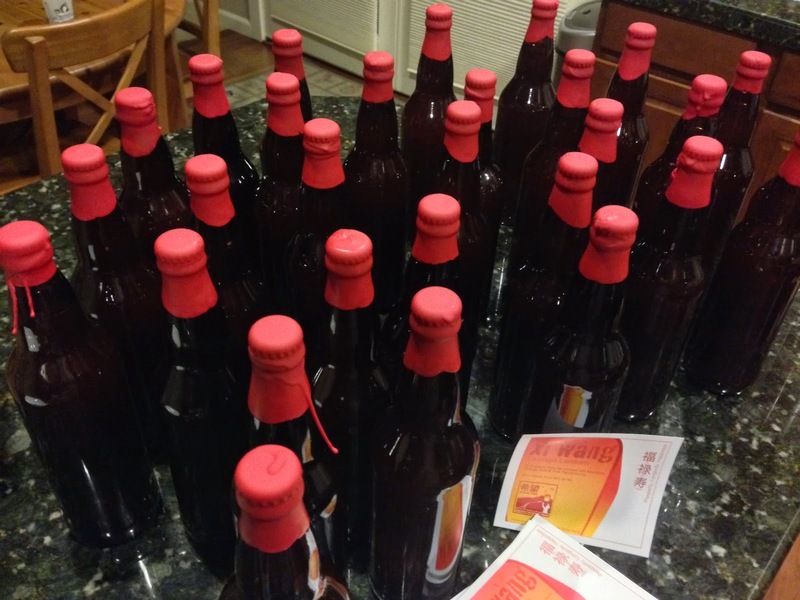 Two years ago, I brewed a Citra Pale Ale. It was a favorite of family, friends, and neighbors. It had nice hop flavors, wasn't too bitter, and was an easy drinker. I've wanted to revisit that recipe again. Our kids attend a Mandarin immersion Chinese Charter School. The school holds an annual fundraising gala and I decided to make a homebrew to commemorate the event and offer as a gift to attendees. I remembered my old Citra Pale Ale and knew it would be perfect. 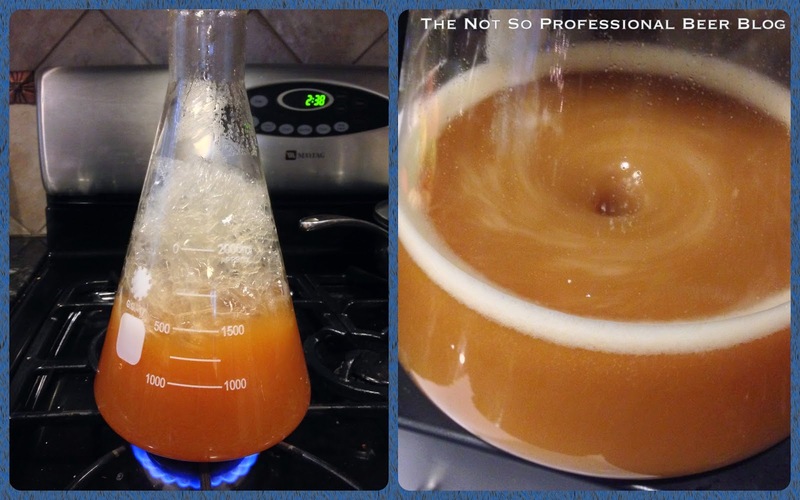 Jan 2: Made a WLP001 yeast starter and agitated it with my homemade stir plate. Jan 5: Brew day. I added the crushed pink peppercorns (which have an amazing floral and spicy aroma) and mandarin orange zest into the boil 10 minutes prior to flameout. My final OG came in at 1.08, higher than my expected target of 1.057. Then I realized my error. I had set the efficiency to 70% in my brew software. My brew setup typically runs at 75% efficiency. Oh well, I guess I'm making a big beer! I pitched the yeast into the 72°F wort. About 6 hours later, I had airlock activity. Jan 6: Active fermentation is underway! Jan 10: Fermentation has slowed down significantly. Feb 9: Transferred to secondary and added the dry hops. I took a taste. The tropical fruit flavors are coming through and dry hops should take it up another notch. However, my specialty ingredients are barely noticeable. So I infused an ounce of good vodka with another 1/2 teaspoon of crushed pink peppercorn and a teaspoon of mandarin orange zest. The vodka will extract the flavors and I'll dump in the strained vodka during bottling. Feb 17: Bottling day. My final gravity came in at 1.01, which means my beer should about 9.4% ABV. While this is higher than expected, my new Imperial Pale Ale isn't tasting hot and the tropical fruit flavors are prominent, thanks to the dry hops. Bottled with 4.8 oz. of dextrose and my peppercorn and orange-infused vodka. Mar 4: Since I'm making this beer for a special event, I decided to wax dip the bottles. I never did this before. I asked my homebrew shop for some advice, and was told to melt the wax in a beer can. It worked perfectly! 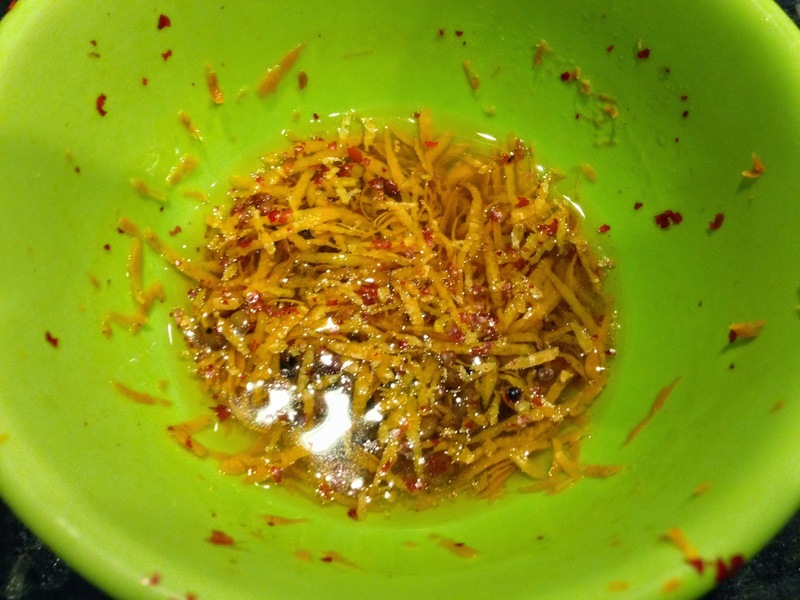 It allowed me to get the right amount of wax onto the bottle with minimal waste. I think the bottles look great! A friend designed a label for me and I'll attach those in a few days. Mar 7: Attached the labels with 3M spray on adhesive. It was tedious and messy work. No wonder I never label my homebrews. But I think the end result looks great and was worth the work! 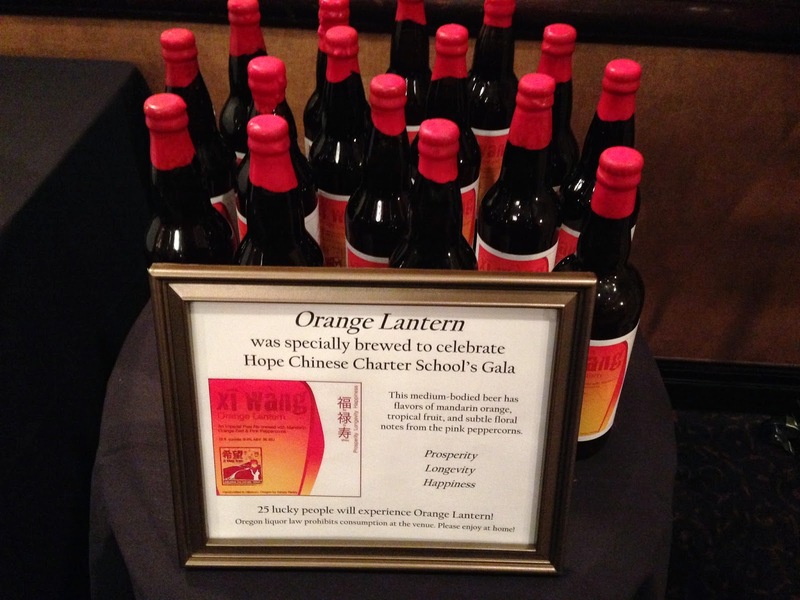 I named the beer Orange Lantern since it's made with oranges and aligns with the event's logo. Mar 8: The big event is here! I'm really happy with how it turned out. It has loads of tropical fruit flavor, and the mandarin orange and floral notes from the peppercorn are now noticeable thanks to my flavor infused vodka. Mar 20: I've been getting back lots of good feedback from people who tasted the beer. Someone even offered to buy more from me. I thanked the person, but declined the offer since it's illegal to sell homebrew. My miscalculation of efficiency turned out to be serendipitous, as this this beer works quite well as a heavier bodied, Imperial-style ale. Although it has a calculated ABV of 9.4%, the alcohol is fairly stealthy. Apr 3: In a random stoke of luck, one of my bottles ended up in the hands of Eric Steen, a friend who organizes beer events, including a homebrew event I participated in last fall. Small world! He and his wife enjoyed it with their delicious looking dinner. I'm very happy with how Orange Lantern turned out! I always have a mild annoyance with each of my homebrews, but I wouldn't change anything with this one. The base recipe is excellent and I'll brew it again, but with another TBD twist! I saved a few bottles and will see how Orange Lantern evolves during the next few months.